COLOR Black. PRODUCT WEIGHT 6.14 oz. WIDTH 2.79 in. HEIGHT 5.65 in. 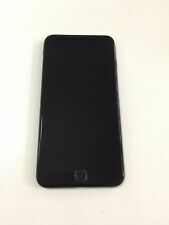 Super realistic i-Phone 8 dummy 1:1 model. UK stock with fast and free despatch. Simply no more realistic offering available. 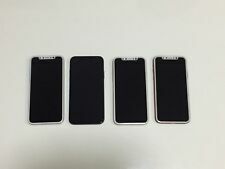 Metal and glass, which is exactly as the the real handset, and not the cheap plastic offering more commonly available. 1:1 Perfect for any iPhone 8 accessory seller, cases, cables, mounts, wireless charging demo display, point of sale etc Great prop for theatre, TV, film or amateur drama Ideal for joke, tricks and wind ups Real phone in danger of being confiscated at school, or by parents.. hand this one over instead Comes with film peel off protection ensuring a completely blemish free surface. Dummy phones are a great way of utilizing a display without the worries of thieves. The internal weights give this dummy phone the perfect weight and feel when holding this phone. This dummy phone will trick almost everyone. 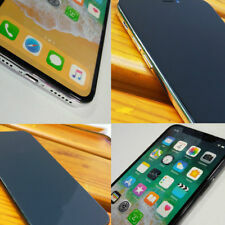 THIS IS NOT A REAL IPHONE! 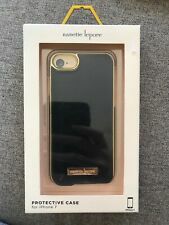 Nenette Lepore Iphone 7 / 8 Case Rose Gold Clear Deceptive Pretty Brand New. Condition is New. Shipped with USPS First Class Package. 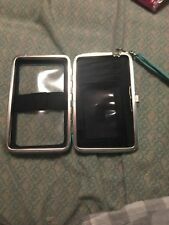 Fake Leather Wallet Phone Case For Iphones Condition is New. Shipped with USPS First Class Package. 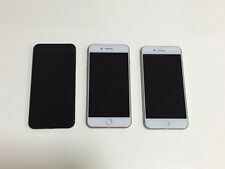 IPhone 6 & 6s. Blue marble design w/ fake rhinstones. soft gel bumper. TPU silicone soft gel bumper. clear case cover. One-sided clear cover case. Scroll down to. and not actual pictures of the piece. IPhone 5 Case - Teal Green. New: This item is new and has never been used. It is not in the original wrapping but is in excellent condition. This phone case is designed to fit an iPhone 6 and 6S. This case is not suitable for the iPhone 6 and 6S plus. Featuring a design from one of our talented designers, this case provides protection and style. IPhone7 Case Cover. All handmade fake sweets decoration iPhone7 case! Fake Professional Handmade Whip Cake Sweets Decoration. Material of fake sweets: Resin Clay, Light Resin Clay, Acrylic paint, Silicone Sealant and varnish coat.